Someone in your company just put a dataset at risk. How do you identify who, when, and where? Data governance has gotten more complicated. But enterprise IT — already laboring among so many other demands — doesn’t have time to figure it out on its own. 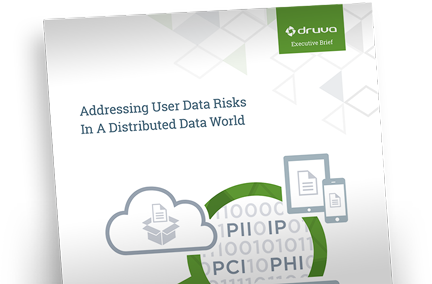 Data has spread beyond the firewall to mobile devices and to cloud services (such as Office 365, Box, and Dropbox). IT and security executives need to ensure mobile worker productivity and also to enforce data policies and procedures. This paper demonstrates better compliance methodologies for tracking and managing dispersed data and for responding to legal requests.